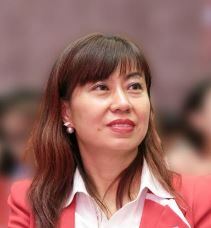 Wendy Mao is Swan Wine Group's Co Founder and Chief Operating Officer. She is also AWA wine fund Co-founder. From 1992-1999 she was General Manager, Domestic Trade Department Of China within the logistics part of the company. In 2000 she migrated to Australia as independent skilled immigrant and in 2006 completed her MBA at Macquarie University in Sydney, Australia. She has over 20 years experience of; public company management experience with a clear understanding both in Chinese and Australian enterprise operation.